For, quite literally, hundreds of years now people have been proclaiming that the end of the world is near. It has become such a cultural cliche that people now quickly discount and laugh at anyone who makes such a claim. I am no different. But, not because I do not believe it is not going to happen, because it will; but rather because Jesus Christ was very clear in his teachings that no one would know when this time would come. However, that said, should a person carefully read the Bible, study its prophecies, and filter that information through a lens of current events and geopolitical understanding – it is clear that time on this earth is drawing very – very – short. Let’s begin by setting a few things straight. One, it is a biblical fact that the world as we know it will end. There are many who have misunderstood the Bible and claim that our planet is always going to exist. Revelation 21 dispels that rather effectively. God makes it clear, this earth will end. There are also those who have misunderstood the Bible who claim that the rapture is not mentioned in its verses. And, yes, while it is true that the exact word “rapture” is not mentioned in the Bible, there are plenty of references made by Jesus Christ’s teachings, and from God, that there will be a time when those who follow Christ will be taken from this earth. Matthew 24, Matthew 25, I Thessalonians 4 and 5; plus many more. There will come a time when Christ will call his followers out from this world, and those who are left behind will endure hardships that have never before been encountered on this earth. Pre-tribulation, mid-tribulation, and post-tribulation are more terms that many people seem to get caught up in; so much so that it causes discontent and arguments even amongst Christians. I do intend on diving into much greater depths as far as prophecy goes as I proceed with this site and its new direction – but to save time for now and, hopefully, confusion – I will present the quick version of what the tribulation means. Seven years of turmoil and evil unleashed upon the earth. That is the quick version. Anti-christ is revealed, creates a false sense of peace in the Middle East (Israel is lured into a false peace agreement), when that agreement is finally revealed as being false, anti-christs’ true motives and destructive nature is unleashed upon the earth causing the world to tear itself apart – so much so that Jesus Christ Himself returns to put a stop to it before the entire world is destroyed by his hands. There will come a time of trouble on this earth such has never been seen before. Pre-trib is the thought that “rapture” will occur prior to the tribulation beginning, mid-trib is the thought that “rapture” will occur sometime in the middle of this time, and post-trib is the thought that “rapture” will not happen until sometime after the end. Most people who have studied the Bible almost immediately dismiss post-tribulation because it just doesn’t make any sense when you put it in context with what happens during the time of tribulation. But, there is debate about pre and mid-trib because valid arguments can be made concerning each one. That said, no one knows and I firmly believe that the Bible is vague on this subject because THAT is not the point. Jesus Christ offers salvation through grace and mercy, to each and every person alive on this earth. As Christians, we are supposed to be aware and prepared for the coming events, but not so caught up in looking towards the end that we fail to affect the present. Affecting the present is something that Christians have failed at; especially in America. As Christians in America, we are privileged to live in a society that – as of this point – is still somewhat tolerant of Christ and His word. I say somewhat tolerant because, clearly, that is something that has been eroding away beneath us for quite some time. And, it is our fault. We have become an ineffective people, and the state of this nation is all we need to look at to make that clear. 1.06 million abortions are performed in this nation, on average, every year. Breaking that down, that is an average of 2,756 children murdered each day. Add to this the fact that it is now known that locations offering abortions in this nation also butcher and sell the murdered childs body parts to the highest bidder, and it is nothing short of pure evil. America may not have invented abortion, but we did turn it from a naturally abhorrent and shameful act that should never be forgiven – into a multi-billion dollar a year industry. For this, I firmly believe that the blood of each and every child murdered in this nation, in the name of convenience and irresponsibility, will be answered for shortly. How long do you expect God to allow such an evil practice to go on without being stopped? It has already been going on for far too long. Israel is constantly under attack, not only by nations who are openly aggressive towards it and want to see it destroyed – but also by nearly every other nation when it finally has enough and decides to defend itself. Last year, when Israel went on the offensive and began routing its borders from terrorists who were building tunnels into their country to enact bombings, murders, and other terrorist activities, it seemed as if the entire world was crying out over the Palestinians while very few stood with Israel and its right to defend itself. Israel is constantly under threat of terrorism, alienation, and even destruction – Iran has made it clear several times that the destruction of Israel is its primary goal. And yet, America is providing Iran with the option to develop their nuclear program. Iran is not only openly hostile to Israel, but towards America as well – and we have now paved the way for them so create weapons that they will use against us. Iran is constantly linked intimately with Islamic terrorism, and look what they did with a couple of planes in 2001. Israel mourned with us on that day, while Muslim nations rejoices in the streets. Imagine what they will be able to do when then finally develop a nuclear weapon. Both Israel and America are going to be under direct threat, and it will be because the leaders of this nation gave them the power to do it. Russia is becoming more and more prevalent on the geopolitical stage; in fact, Putin is now held in higher regard than our own President. Putin has done amazing things with his political leadership and is very quickly leading Russia into a state of geopolitical power it has not had since the fall of the USSR. So much so, they are now stepping in to stop ISIS (something America has not been doing effectively), opening lines of communication and support with Israel (something that America has also failed at doing effectively), and it is garnering more and more support internationally as a major geopolitical power. This has all been a rather sudden development, but it is happening. The Bible states plainly that Russia (Gog) will be a formidable power at the time of Tribulation and, as will Magog – China. China owns this nation. They own a vast majority of this nations debt, so therefore, they own this nation. If China were to make a call to the President today and say, “We’ve had enough of your rhetoric and chest thumping in affairs that you have no power over anymore, so we are demanding that you pay us for all of the debt we have in your countries name.” – America would be effectively turned into a third world country, and almost over night. It is clear that China has become more and more powerful on the international world stage, and personally, I am just waiting for them to figure that the time is right to make such a demand. China, as a nation, is very forward-thinking and methodical in its approach. As a nation, it thinks decades ahead, rather than weekly or daily. Because of this general political presence, China has successfully positioned itself in a way that could bring America to its knees with one act. And it wouldn’t require a single shot fired. Additionally, China and Russia have already proven to be close and formidable allies in the geopolitical realm. In 2008, during the Olympics, Russia invaded Georgia. Our President voiced his concerns about such an open act of aggression towards a peaceful country, but because our President lacks any real political power in the world, Russia didn’t care and proceeded with its plans. Our President spoke out about it again, only this time, China had something to say in response. Essentially, China told America to shut it and stay out of it – and we did. That instance really opened my eyes to the state of world wide politics and just how far America’s position in it as fallen. 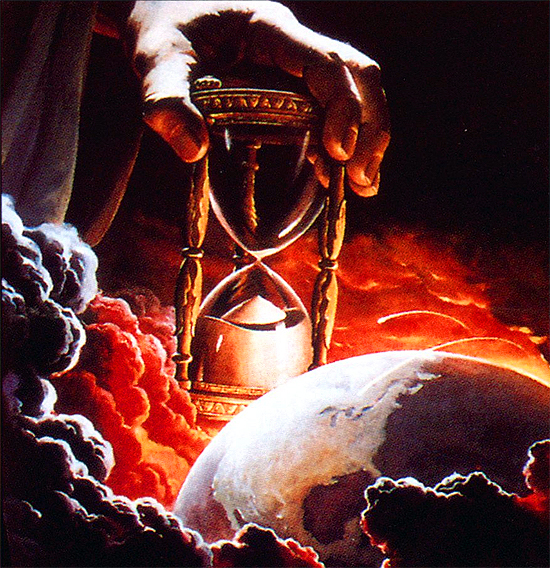 There are several more instances that I can reference to further my point that God’s judgment, and the time of tribulation, is close at hand. And, as this site progresses, I will likely delve into this matter more and more. Biblical prophecy and watching it unfold before my very eyes has always fascinated me and fueled my passion and excitement for Jesus Christ, God, the Bible, and the Holy Spirit. All of the pieces are being put in place. Israel is under attack, America and its political power in the world is on the decline, Russia is stepping in as the more rational and powerful nation, China supports them and can effectively end us as a nation with a simple act of asking for their debt to be paid in full, Iran (Babylon) has been given the go ahead and the means to develop a nuclear weapon, and a vast majority of this world stands against Israel – God’s chosen and protected land. Here is what I foresee happening in the near future. This is just my projection of the way things will go here directly and I am not stating this as a prophecy from God – just as a “thinking ahead” type of situation. Russia will continue to gain power internationally, and this rise in power will go relatively unquestioned because China holds the key. America as a political power will fade further and further away on the geopolitical world stage, not only because of our leadership and their actions, but because we have given the keys to our power away to China. China will hold our debt in ransom as a means to further whatever agenda Russia and China work together to create. Iran will get a nuclear weapon – thereby giving ISIS and other Islamic terrorist groups access to nuclear weaponry. This will effectively put Iran and ISIS in a position of power that will be unquestionable. Remember MAD – Mutually Assured Destruction? A nuclear Iran will further destabilize the Middle East as a whole, causing great concern throughout the rest of the world. Israel will be cautiously optimistic about the change of events and will therefore be lured into a false sense of security – especially with Russia presenting themselves as a nearby nation that will support Israel and its right to exist. Israel will discover that there is a way to rebuild the Jewish Temple – possibly because Iran’s new supreme leader will pave the way for this to occur. We are getting closer and closer each day to the end of this world as we know it. As I have stated in my last post, the first time Jesus Christ came to earth, it was as our savior. When He returns, it will be as its righteous judge. I pray that each and every person open their eyes to see what is coming. But, as the Bible tells us – that will not happen. To many, this coming will be completely by surprise. I just hope that, through this site and its message, by the grace of God and the mercy of Jesus Christ, I am able to reach as many people as possible before the time of God’s judgment comes to this world.